During my school days, the popular choice of brand for a pair of running shoes was the one that comes with a “tick”. Even though that was like many years ago, I can still remember we were all very amazed by the visible midsole that came with “air cushion”. Since the end of my school days, I had not owned a pair of running or performance shoes. 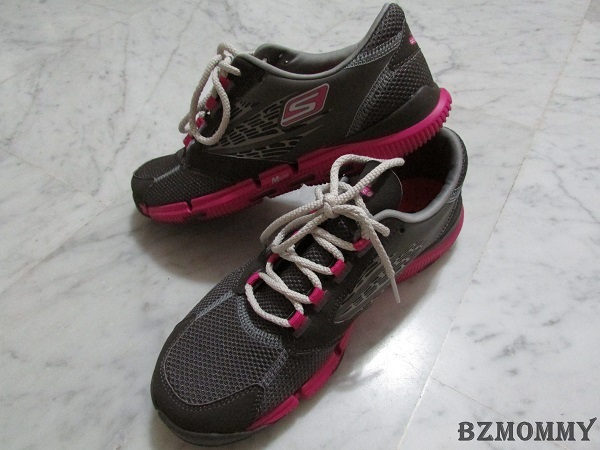 However, just about a month ago, I bought a pair of Skechers walking shoes! Look at my favourite Skechers shoes, with pink soles! 🙂 The weight of this shoes convinced me to part with my money. They are light and they fit my feet perfectly. Skechers has “invaded” my household within the past one month. The other 2 pairs belong to my parents-in-law. 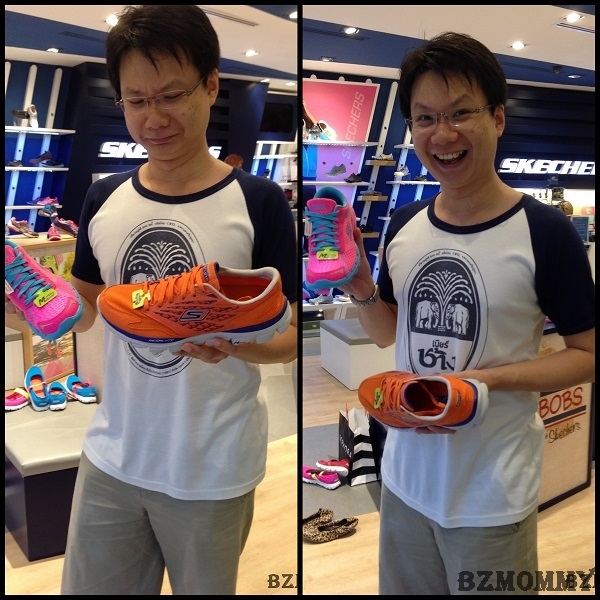 Since I have got my favourite pair of Skechers, I brought my hubby and children to find their favourite pair of Skechers. 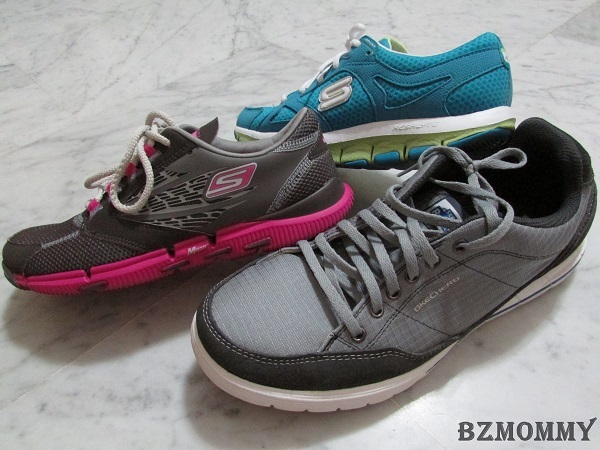 Skechers has a wide range of shoes for different purpose and age groups. 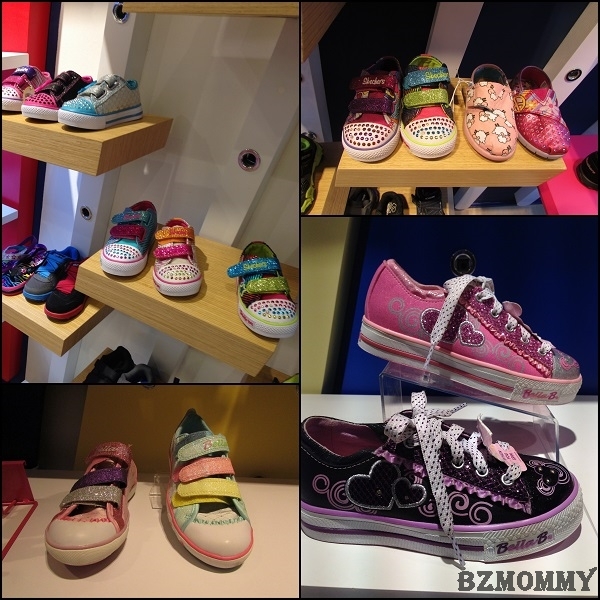 Look at the pretty collection for children! Pretty colours and stylish are just some words to describe their collection. Dawn chose the pink shoes and she told me that she chose it because of the colour and the shiny crystals. It does fit her outfit perfectly issn’t? Dawn’s dressing formula = T-shirt top + shorts/pants + SKECHERS Twinkle Toes: Shuffles – Triple Time shoes. Next was Eva’s turn. She was shy and did not reach out to take her favourite shoe from the rack. Mummy took it and asked her whether she likes it. Eva gave a light nod and grabbed the shoe tightly in her hand. The shoe simply goes well with her outfit too! I went with hubby to another Skechers concept store on a separate occasion so that he can chose his favourite pair without much distraction from the kids. Look at the wide range of shoes he had to chose from! How about pink or orange shoes? I said the pink…but too bad the pink is for ladies only. Let’s try again. 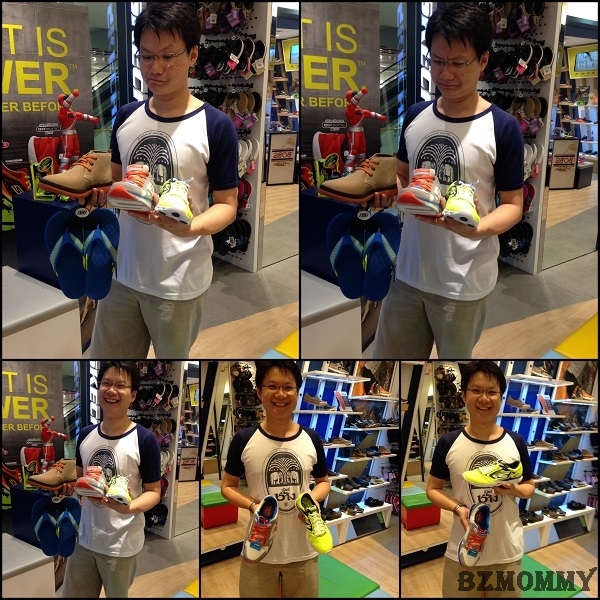 This time, he was given 4 pairs of shoes to chose from, by the sales assistant in the store. 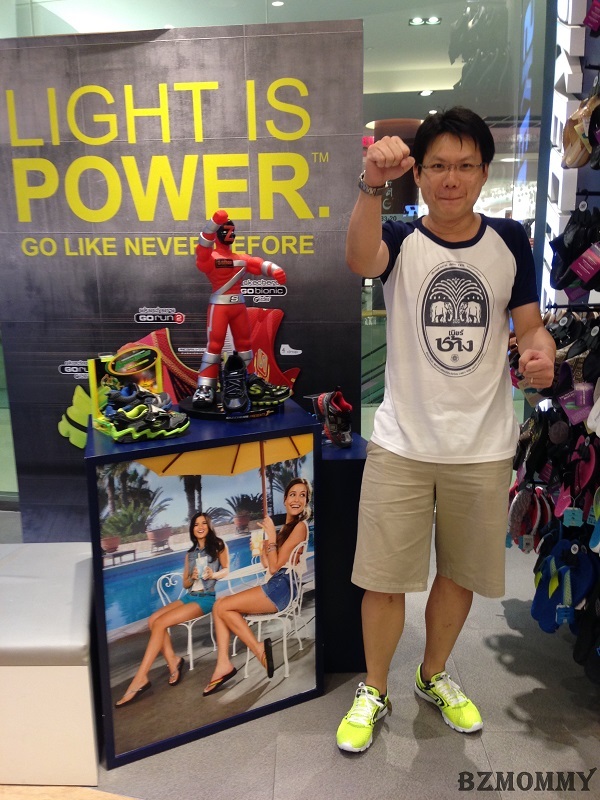 He chose the Men’s Skechers GOrun Meb speed Running Shoes as it is in luminous yellow! Wow! My whole family is dressed by Skechers now, from the young to the grandparents! How about you? 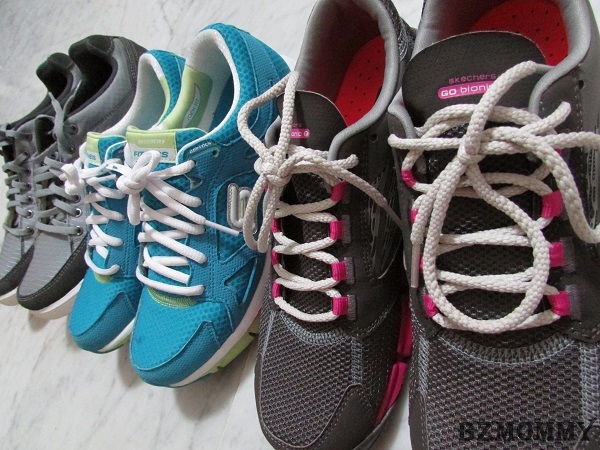 Do you have your favourite pair of Skechers too? Disclosure : This entry is to take part in a contest by Skechers & Nuffnang. All opinions are my own. This entry was posted in Contests and tagged contests.